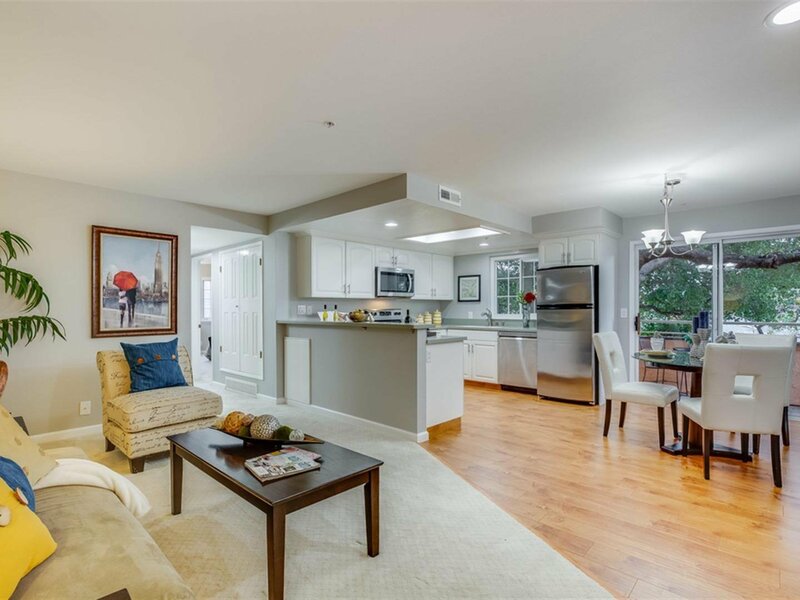 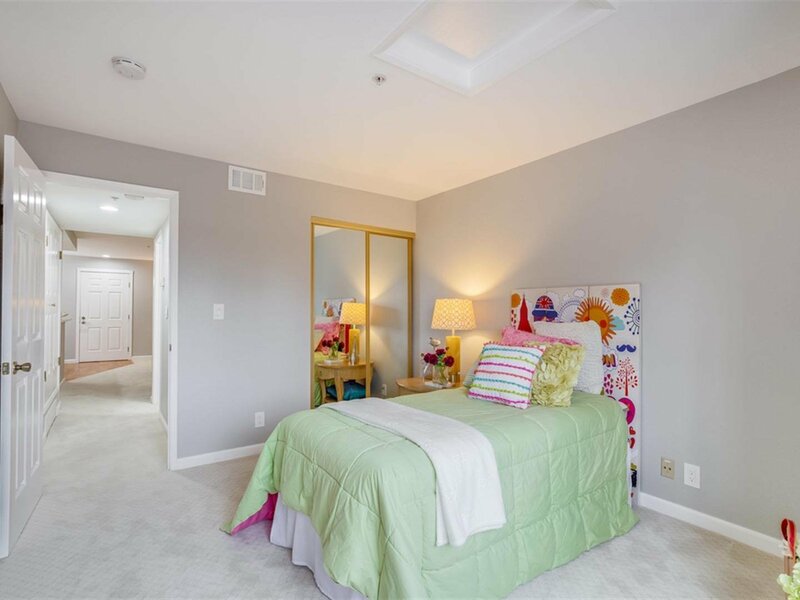 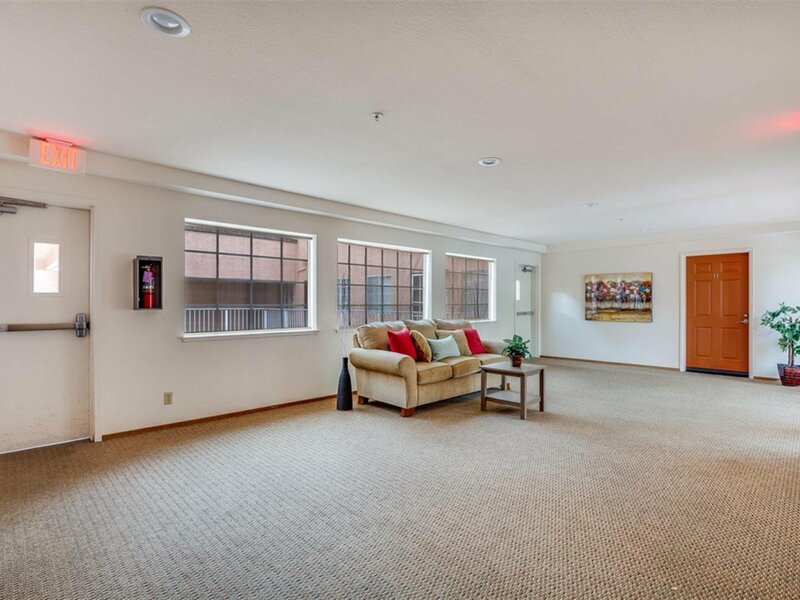 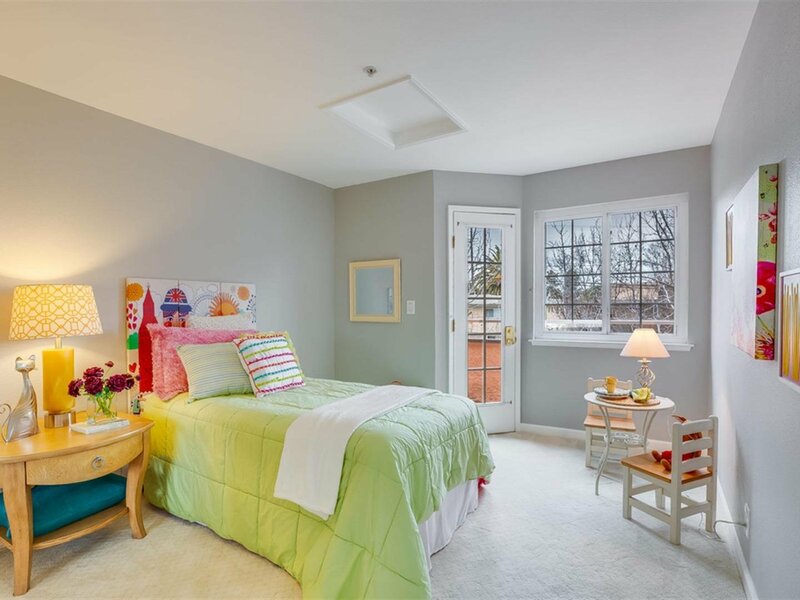 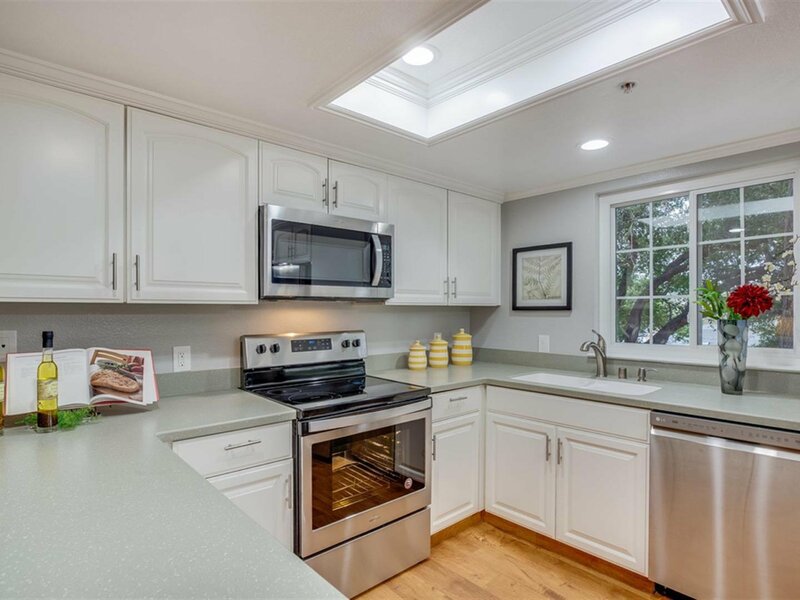 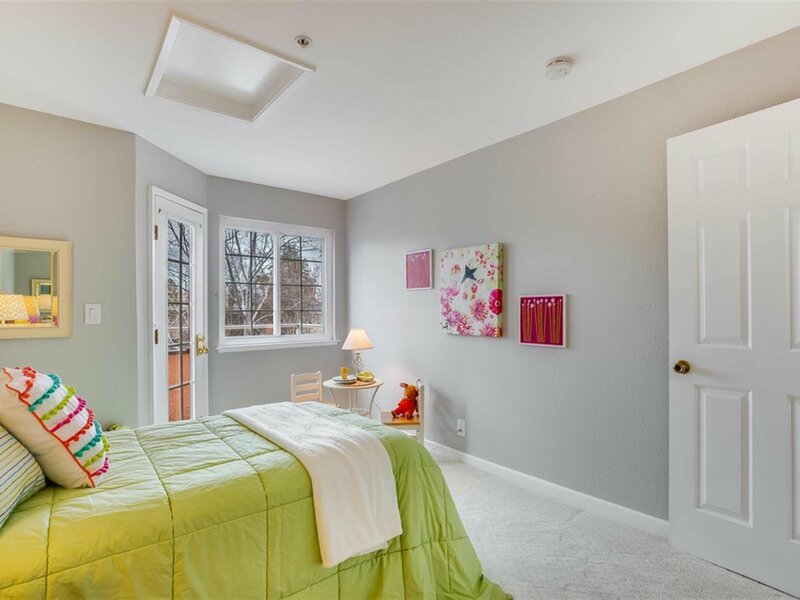 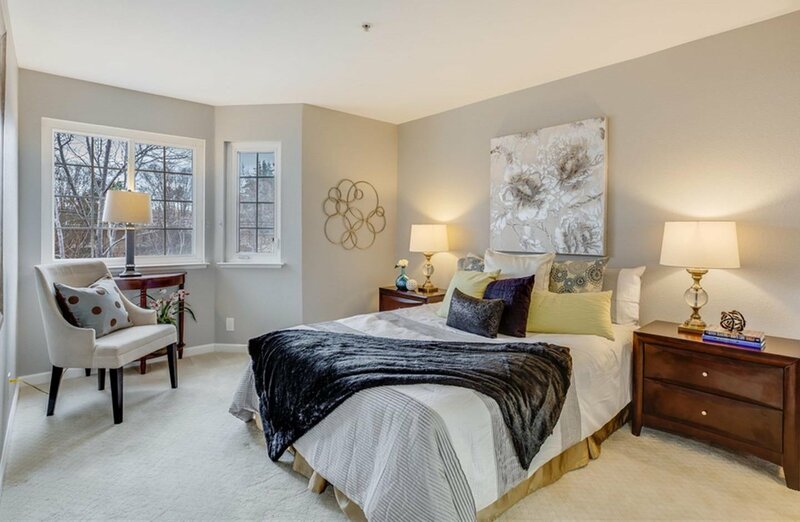 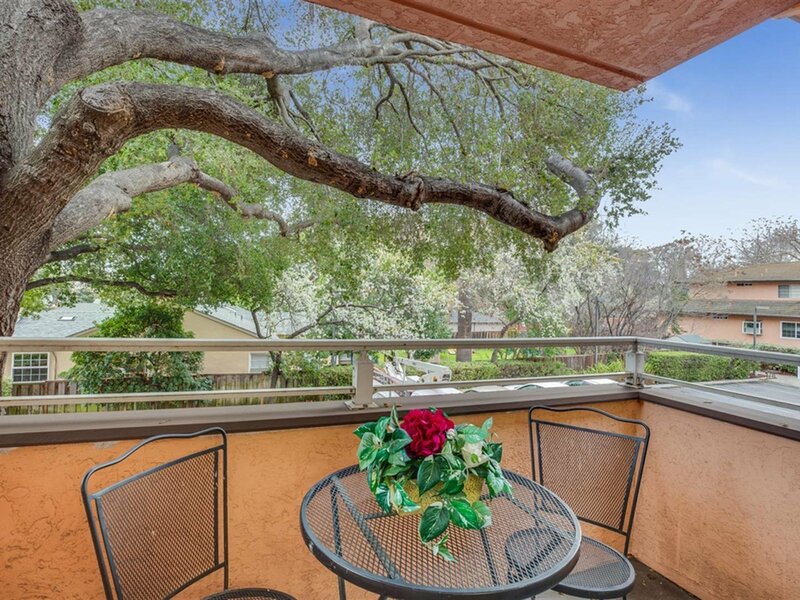 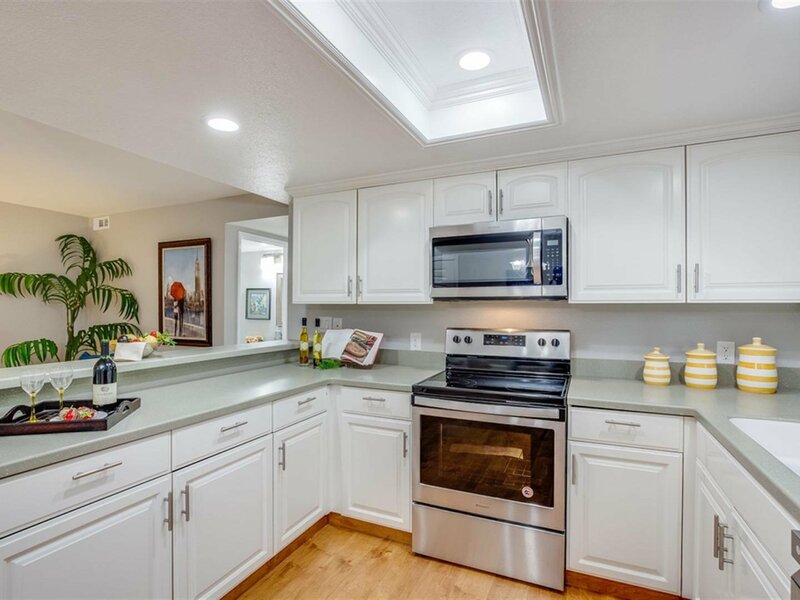 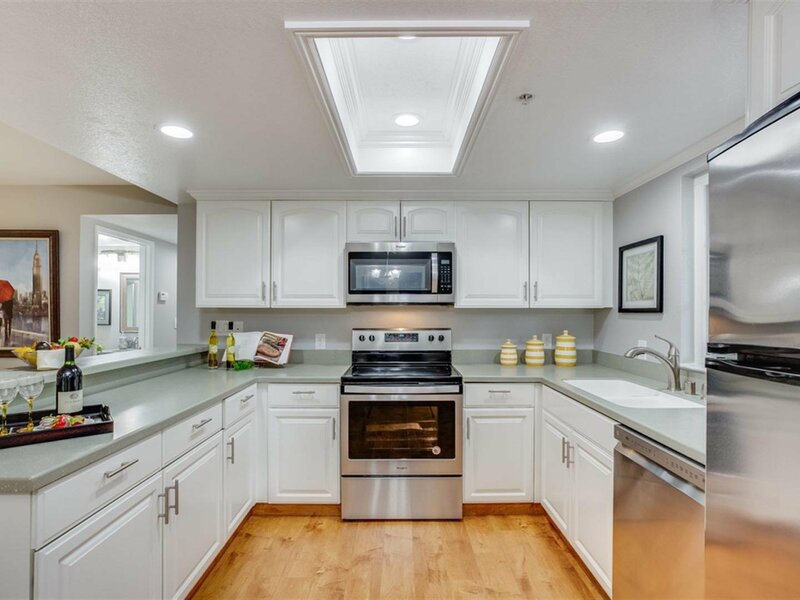 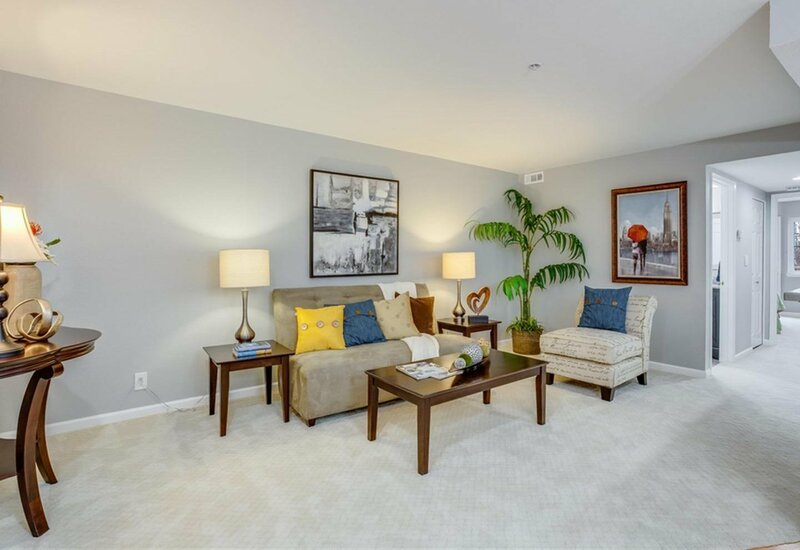 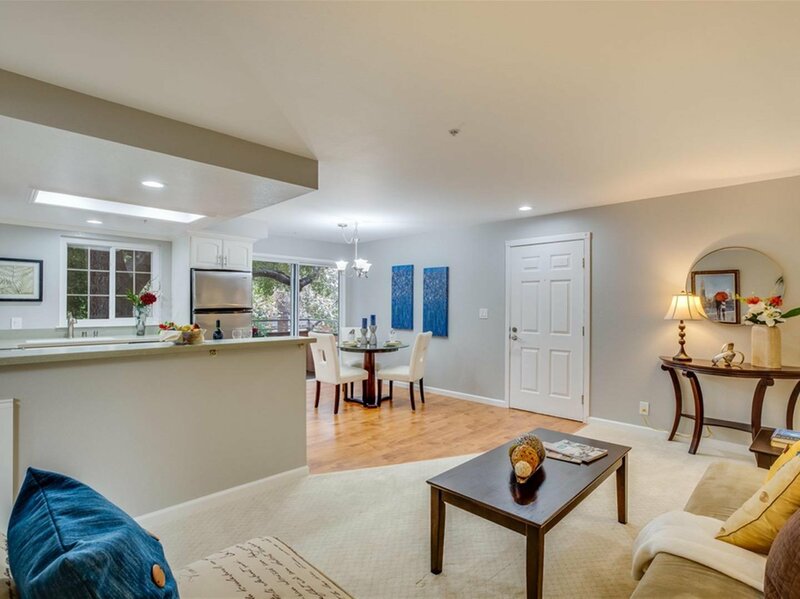 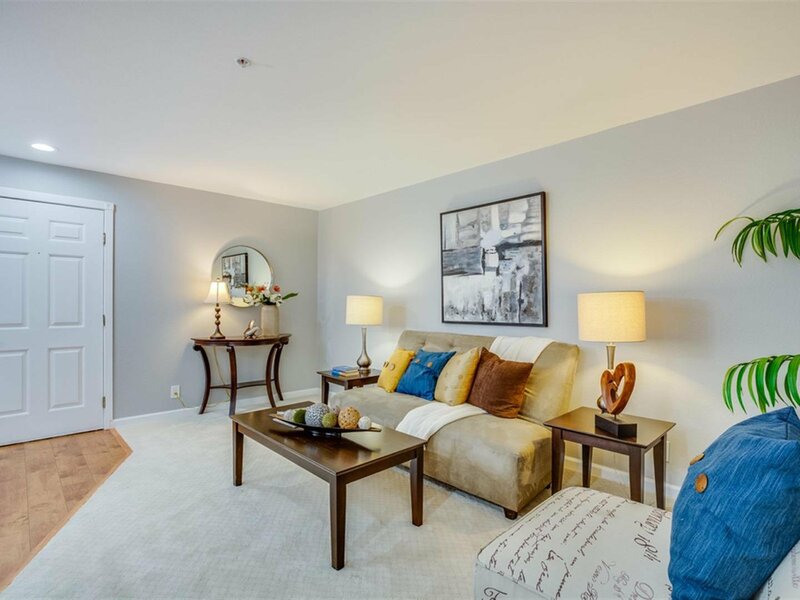 Beautifully updated Mountain View condo in highly desirable California Court Community! 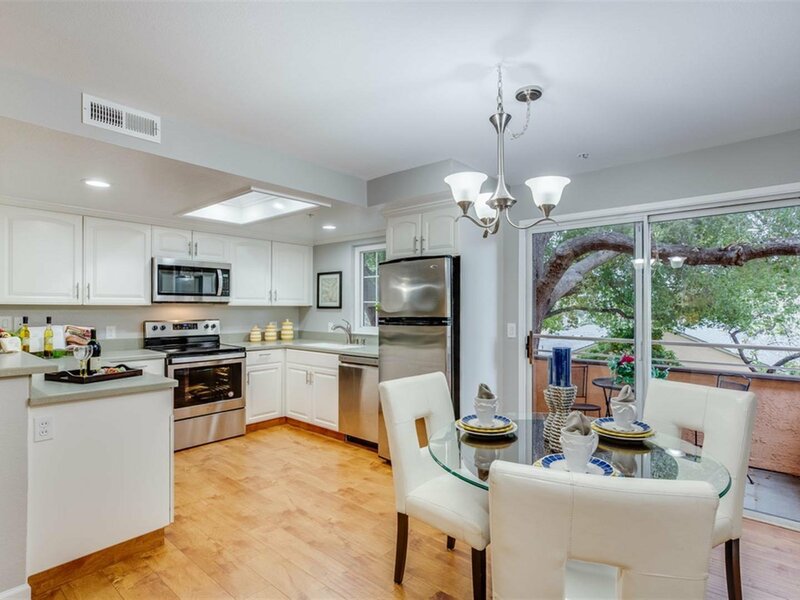 Attractive kitchen with open layout, stainless-steel appliances, recessed LED lights, Corian counters, and laminate floors. 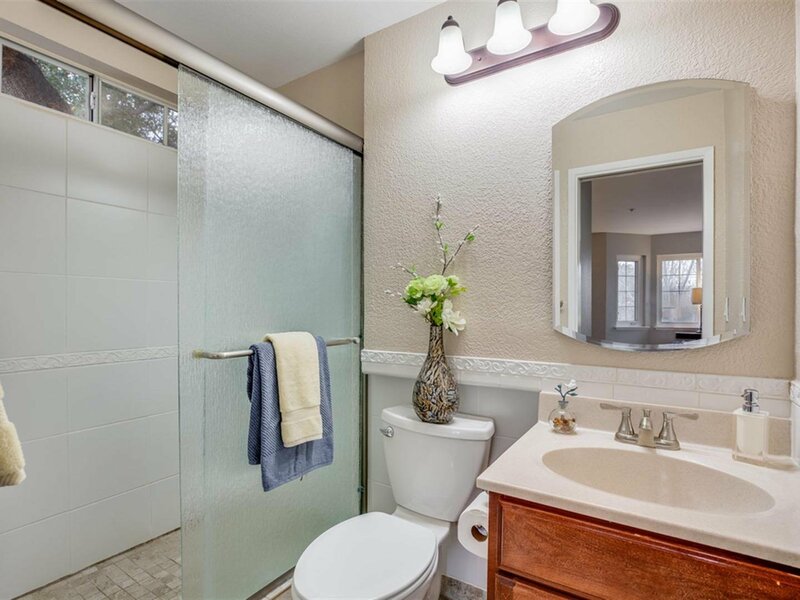 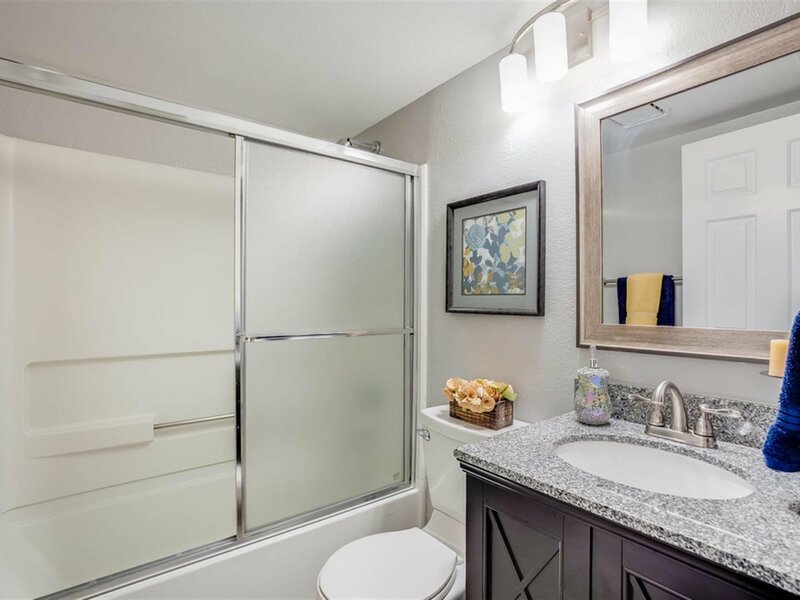 Modern bathrooms with LED lights, tile floors, spacious updated master bath shower, and hallway shower over tub. 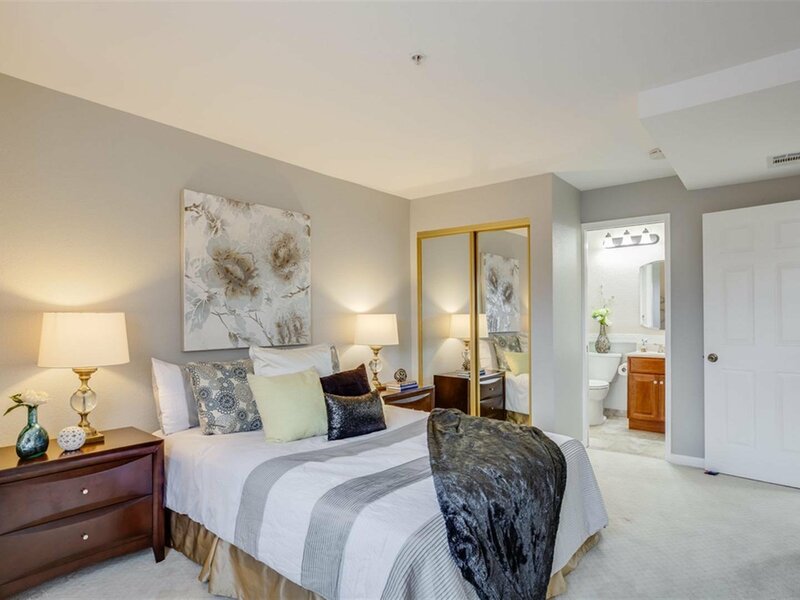 Additional features include inside laundry with washer & dryer, newly painted, master bedroom suite, 2 private patio/balconies, fenced storage area adjacent to parking, and 2 assigned parking spaces. 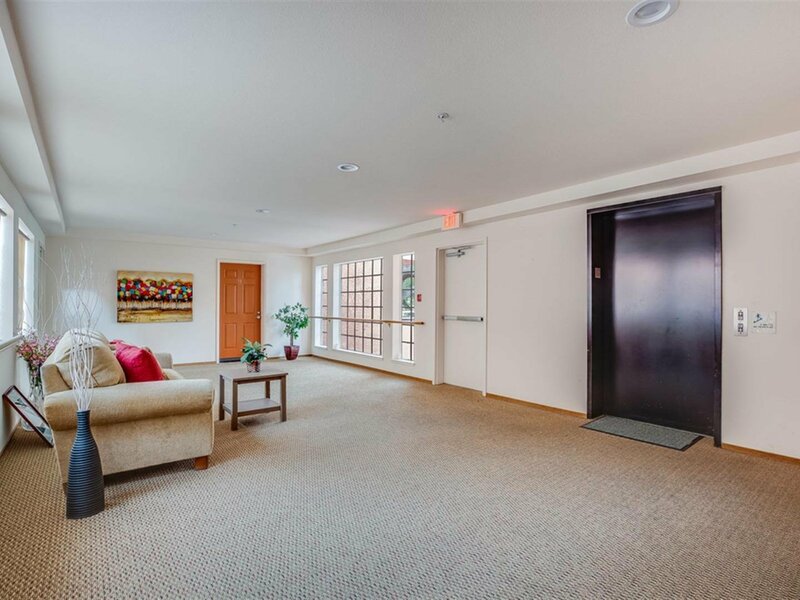 Community amenities include courtyard, secure underground parking, swimming pool, spa/hot tub, BBQ area, secure building, and bike shed. 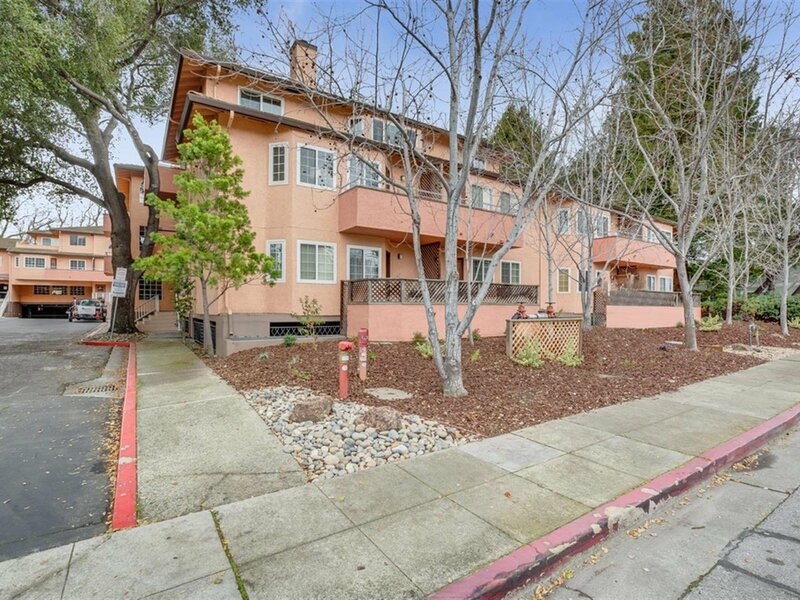 Water & garbage utility bills are included in HOA dues, owner pays for PG&E. 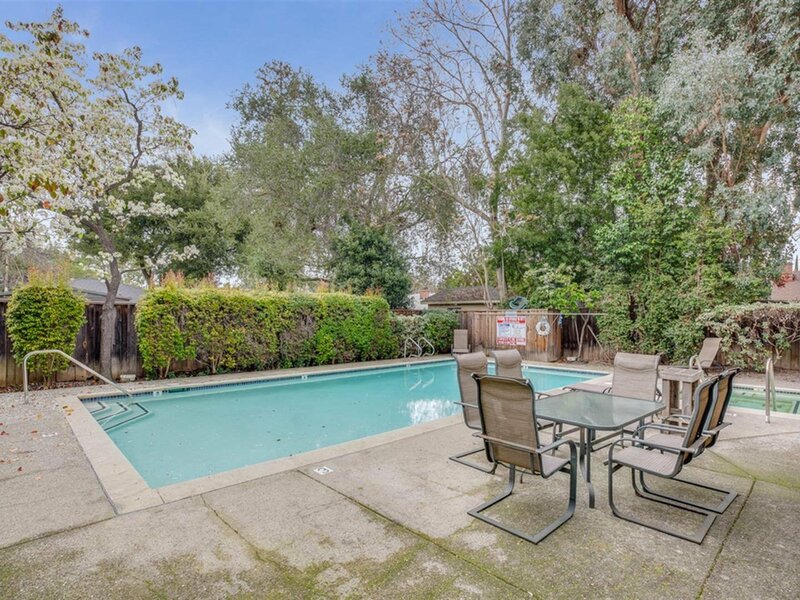 Excellent central location in between San Antonio Shopping Center & Castro Street in Downtown Mountain View with easy access to Google plus many other tech companies, bike trails, public transportation, shopping, restaurants, Caltrain, highways, and much more!